I haven't updated in a while but I wanted to share some recent soups I've made. This seems to be all I've been making lately and I'm ok with that. Soup is one of my favorite things to make and there are so many opportunities for pulling out great flavors. 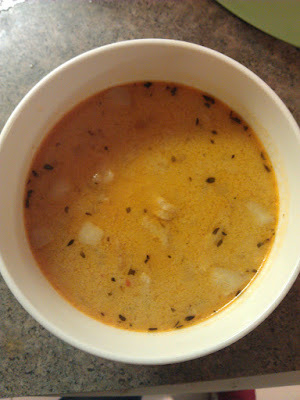 First I wanted to start with this great lobster bisque I had the chance to make. My dad got a dozen lobsters for his birthday as a gift from my younger brother. After all the meat was removed I boiled the shells in white wine with some garlic, onion, meyer lemon peel, szechuan pepper, thyme, bay leaves and a touch of cumin. After a few hours of boiling I strained the broth and blended in some mashed potato to help thicken the soup along with some heavy cream. I stirred in some lobster meat and I was good to go! 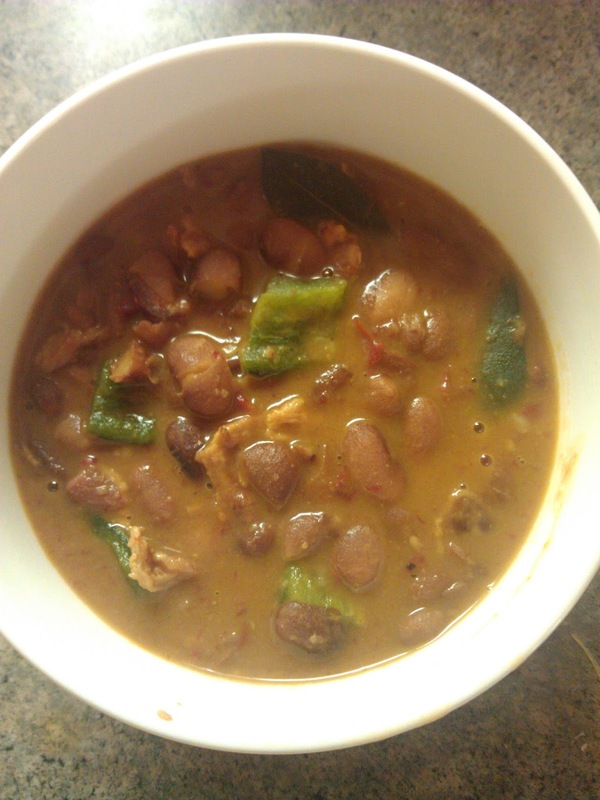 I have also recently made frijoles charros. To prepare this I took uncooked pinto beans and simmered for several hours along with sauteed onion, garlic, bay leaves and chile guajillo. In a separate pan i cooked down bacon along with onion, garlic and chile poblano. I added the beans with the broth to the bacon. The flavor was excellent, I just wish it came out a bit more spicy. Last up is a tom kha soup I made with shrimp. 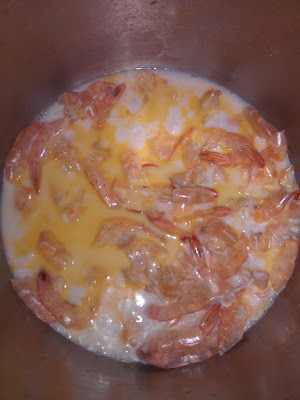 I first fried some shrimp shells in a pan, I then added some white wine to deglaze the pan and added coconut milk and a bit of water. I boiled for about an hour to draw out as much shrimp flavor as I could before straining. 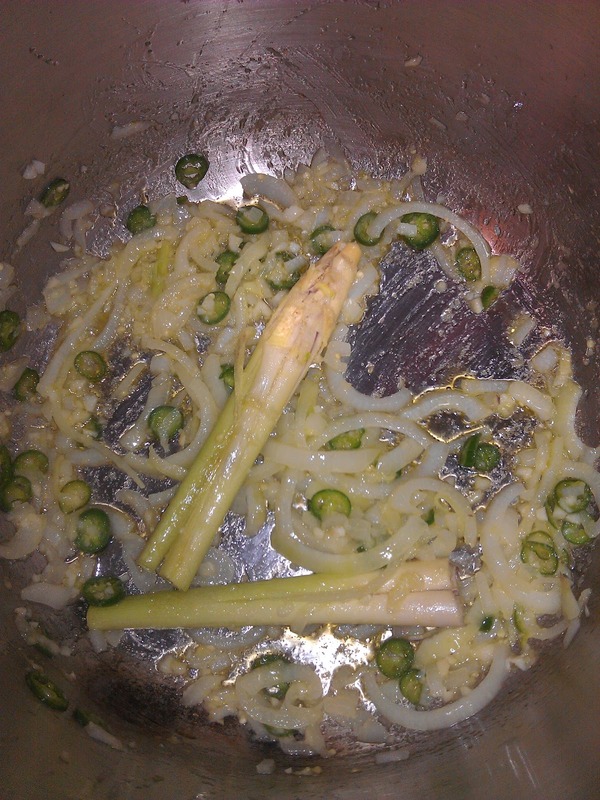 In another pan I cooked down garlic, ginger, serrano chile and lemongrass. 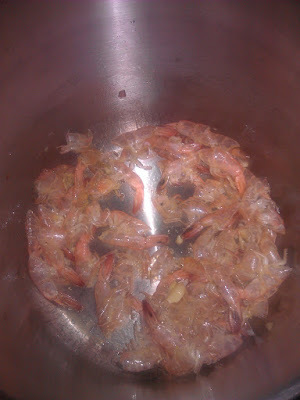 I covered with the coconut shrimp broth and cooked together for another half hour. 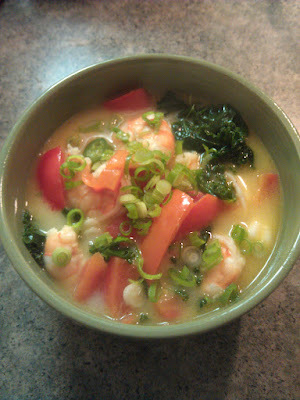 While this cooked I added red bell pepper, kale as well as the shrimp towards the end. I served this soup over noodles and topped with sliced scallion, it was very satisfying and had a ton of flavor. Yummy! Hoping to make this in the future. Thanks for the recipe. so fun, a world tour of soups! all three look delicious. and i agree, soup can be a wonderful opportunity to really concentrate flavors (i also love how they can be a "garbage disposal" for leftover veggies and other odds-and-ends from the fridge). a dozen lobsters - what a decadent gift! Sorry for the late reply Megan, so great to hear from you! Big hugs and I hope everything is going well.